After filling in a risk assessment for exposure to the elements for the Marine Conservation Society’s (MCS) Beach Watch team, to undertake the beach survey on Monday 30.9.2013 the day dawned with bright sunlight and only a light south easterly breeze. Great conditions for carefully noting the items of litter on the beach . 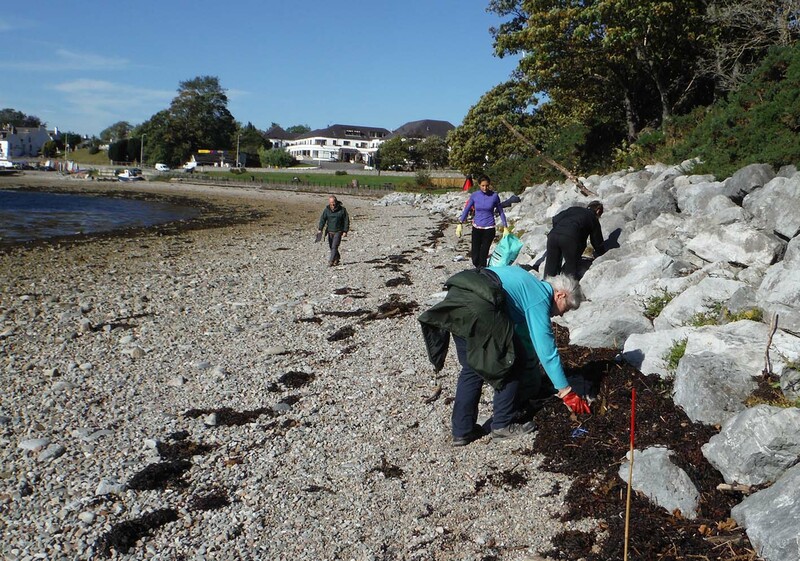 Seven of us made the most of the weather to do an incredibly thorough job on the beach examining approximately one hundred metres of the beach stretching from just east of Am Pollan Park in Ullapool. Working from the low tide mark to the strand line identifying and counting pieces of glass, metal, wood, cloth and the massive category of plastics . 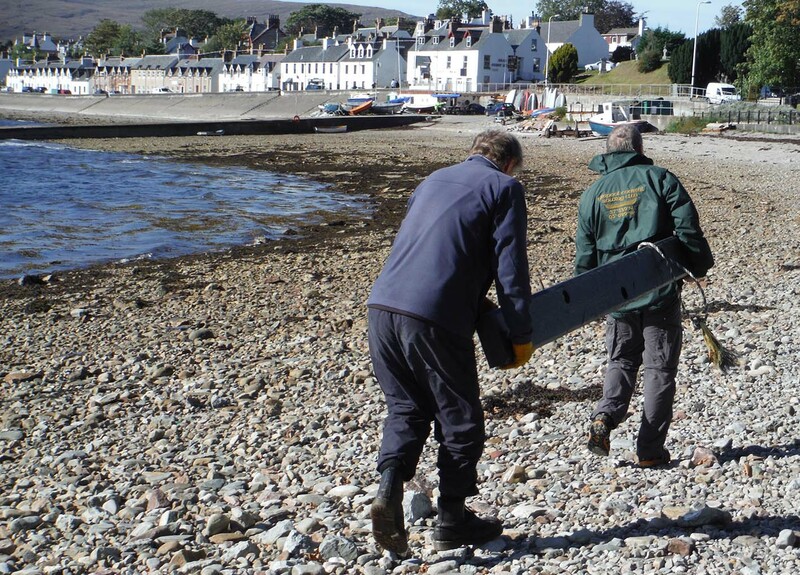 The survey we carried out for MCS in Ullapool has 35 sub-categories of plastics , mostl of which I have seen in the last three weeks. 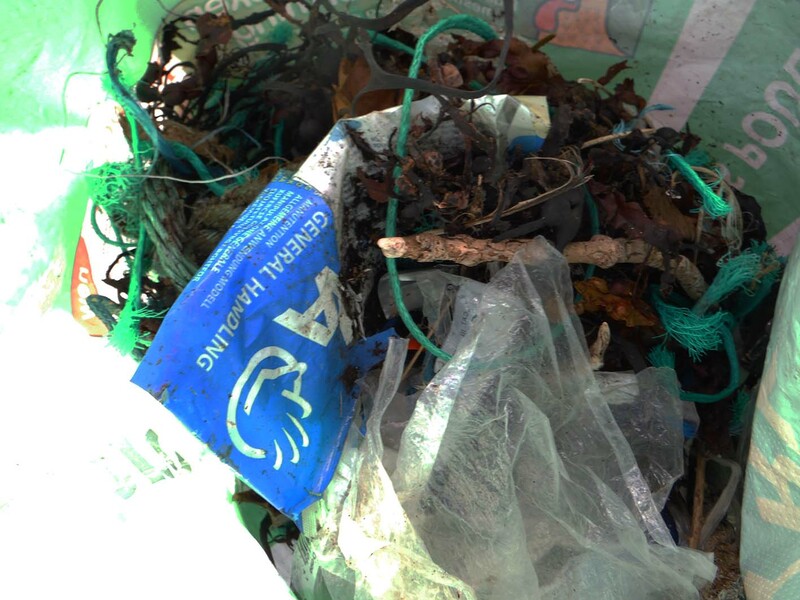 At the end of the survey we discussed how even on a beach which looked relatively clean we had collected 35kg of litter plus a fender off the pier which would have been to heavy for the weighing scale. 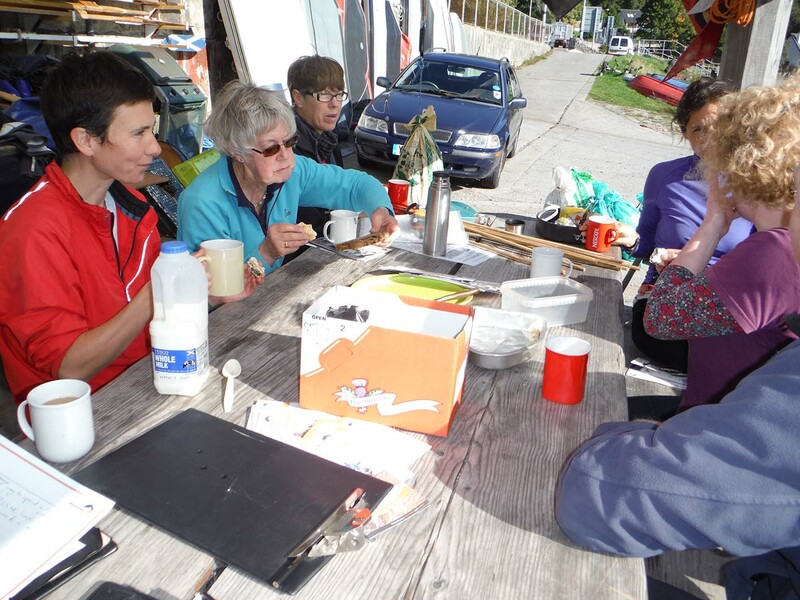 Thanks to everyone for giving a hand and to the Loch Broom Sailing Club for use of the club house to make tea and coffee. Hi Julia. It was a good afternoon – if somewhat shocking! Thank you for organising it. Here is the link to my blog as promised. I didn’t go out intentionally to take photos of rubbish. I’m afraid it isn’t a very scientific account. 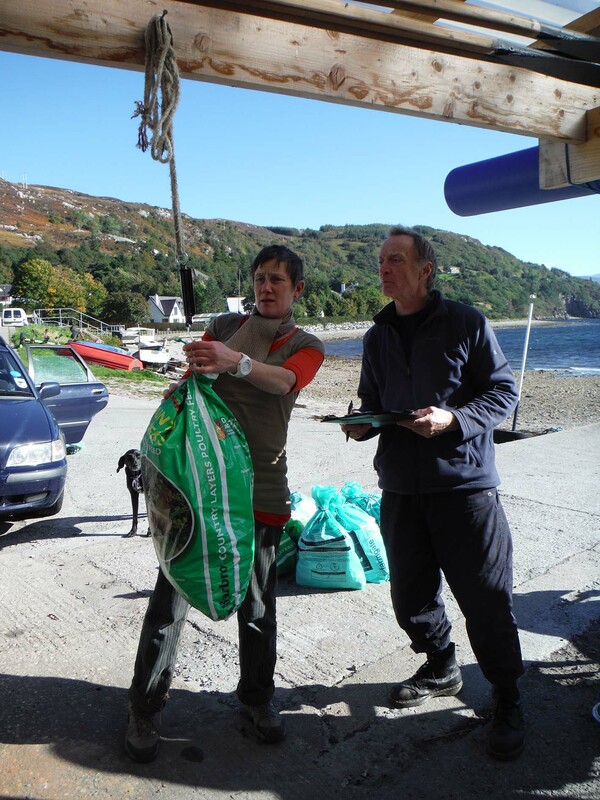 Apart from dragging the fish box back to the car we were unable to clear up any of the debris. It was truly quite awful though. 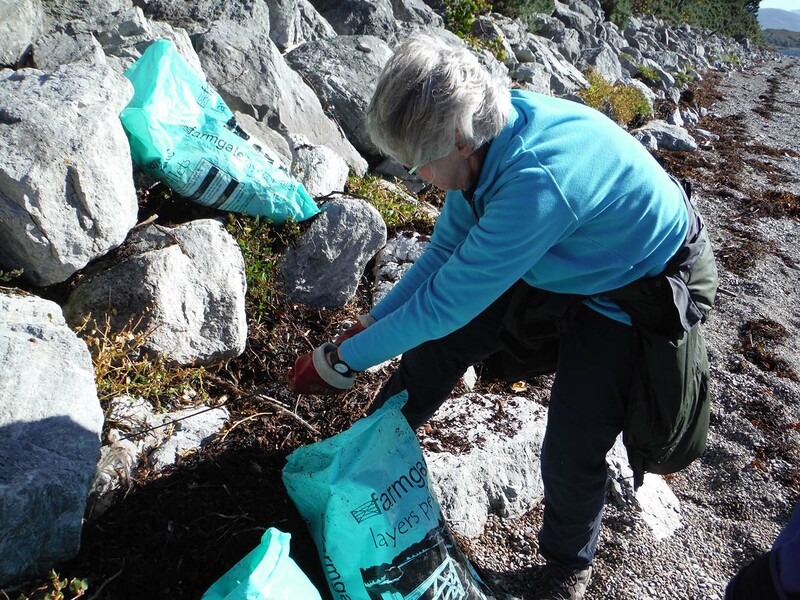 What can be done to clear those beautiful remote areas?